Has there been a ‘head in the sand’ attitude, and a lack of political will to address this problem for too many years? Or have the technical challenges of dismantling and recycling old boats, particularly Glass Reinforced Plastic (GRP) ones, simply been beyond the reach of the available technology and funding? res and reducing them to fragments that can be sent to landfill. This approach is considered unsustainable in the long run; already certain countries, such as Germany and the Netherlands, have regulations restricting the disposal of GRP to landfill. So, recycling will become the only realistic option. Pierre Barblou, President of French boat dismantling network APER, explained to delegates how his organisation is running a fully operational boat dismantling scheme around the coasts of France. 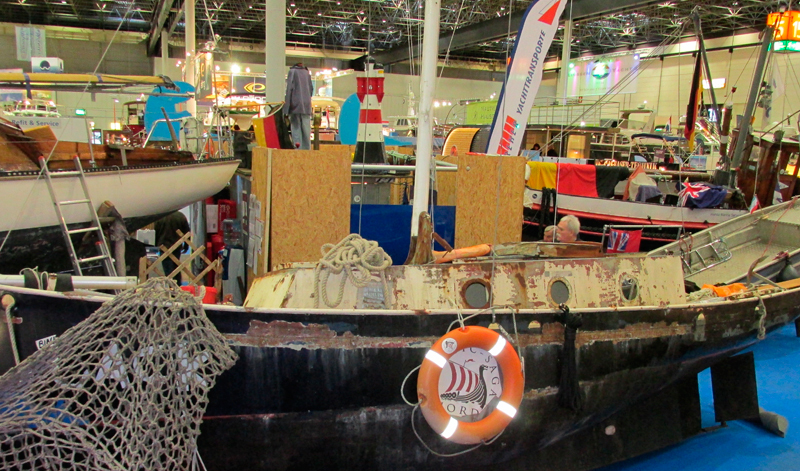 Pierre detailed an inventory of existing boats in France, revealing that 58% of them were built before 1990, the average age of French registered boats in 2008 was 23 years, and probably most startlingly that 13,000 of them will become End-of-Life boats each year. But, something is happening at last! The sharing of information between various EU countries is, and will be vital. The costs and who pays will have to be addressed. Other options such as a EU administered yearly disposal tax on all boats, or an ‘up front’ payment when the boat is purchased was all discussed. A practical solution on how to turn GRP into another reusable composite material will be the definitive turning point. If this is solved, then dealing with the costs, and the effective marketing of the boat recycling concept will take care of themselves.